Pastor Kizombo’s passion in life is to love his family and seek to know God better each day. He declared his call to public ministry in 1995 while attending New Hope Missionary Baptist Church which is also where he met Pastor’s Marvin and Artie and began working with other church leaders to plant Tabernacle Community Church. 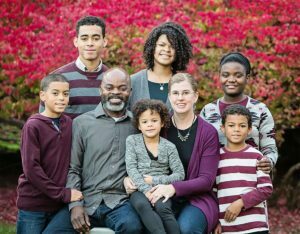 Originally from the Democratic Republic of Congo, Pastor Kalumbula has lived in Grand Rapids, Michigan for the past fifteen years. He obtained an undergraduate degree in Religious Education from Grace Bible College of Wyoming, Michigan and a graduate degree in Professional Counseling from Liberty University of Lynchburg, Virginia. The bulk of his ministry has been spent providing counseling services, primarily substance abuse counseling to women and men and their loved ones. He also served as the director of “BUD’S” (Building Up Disciples) at New Hope Missionary Baptist Church in Grand Rapids, Michigan.